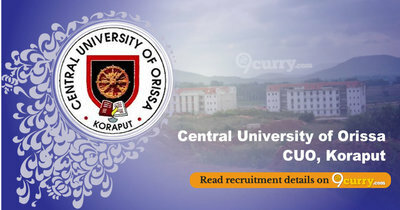 Central University of Orissa Recruitment 2019 - Below are various recruitment notifications published by Central University of Orissa (CUO), Koraput / cuo.ac.in. As of now, we don't have any active recruitment notification by Central University of Orissa featured here. We may update as soon as the organization announces a new job notification. If you are looking for any information related to previously organized recruitment drives by Central University of Orissa, you can browse through previous job notifications mentioned below and get the new updates or information you are looking for. 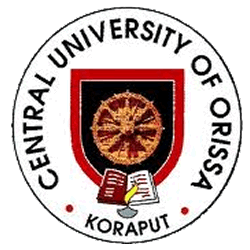 Central University of Orissa Recruitment 2019 - Walk in for Lecturer Posts in the Central University of Orissa, Orisha on Contract Basis. Candidates are invited by Central University of Orissa (CUO), Koraput to attend walk-in-interview to be held on 25, 26, 27, 28 Feb & 04 Mar 2019 at 10:30 AM for 7 vacancies. Central University of Orissa Recruitment 2018 - Walk in for Lecturers Posts in Department of Education, Central University of Orissa, Koraput, Odisha on Contract Basis. Candidates are invited by Central University of Orissa (CUO), Koraput to attend walk-in-interview to be held on 27 Nov 2018 10:30 AM for 2 vacancies. Central University of Orissa Recruitment 2018 - Walk in for Field Assistant Post on a project entitled “Study on Carbon Cycling in Mangrove Ecosystem of Bhitarkanika, Odisha” in Department of Biodiversity & Conservation of Natural Resources, Central University of Orissa, Koraput, Odisha on Contract Basis. Candidates are invited by Central University of Orissa (CUO), Koraput to attend walk-in-interview to be held on 01 Nov 2018 for 1 vacancy. Central University of Orissa Recruitment 2018 - Walk in for Lecturer Post in Department of Economics, Central University of Orissa, Koraput, Odisha on Contract Basis. Candidates are invited by Central University of Orissa (CUO), Koraput to attend walk-in-interview to be held on 28 Sep 2018 10:30 AM for 1 vacancy. Central University of Orissa Recruitment 2017 - Latest job notification for Walk in for 4 Library Professional Trainee Posts in Odisha. Applications are invited by Central University of Orissa (CUO), Koraput before 24 Jul 2017 for 4 vacancies.